Art not only exists in a gallery — it is everywhere. 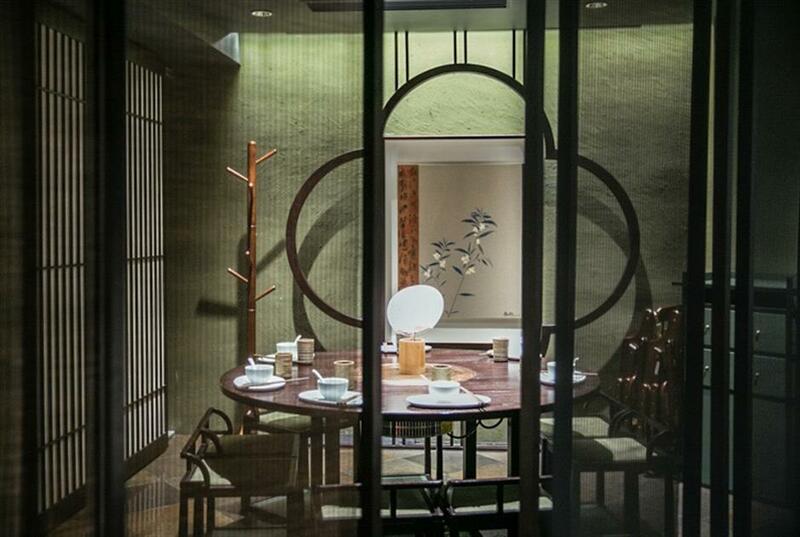 There are many restaurants combining elements of art and food together in Shanghai. Art not only exists in a gallery — it is everywhere. 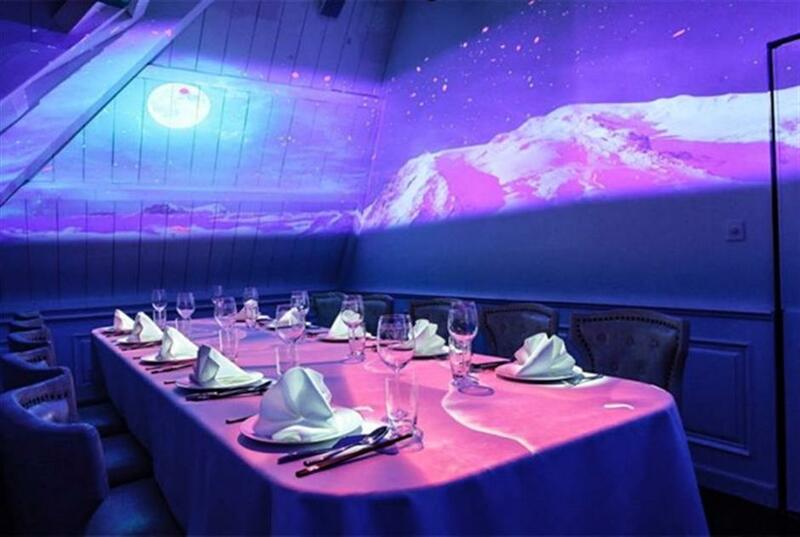 There are many restaurants combining elements of art and food together in Shanghai, where you can not only enjoy delicious food, but also appreciate the aesthetic imagination that envelopes you. Joan Zheng has selected some of the best for you. 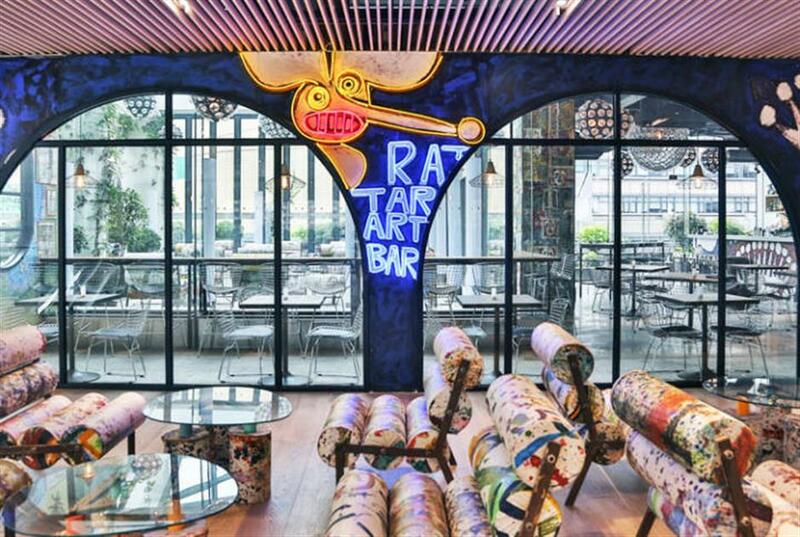 Rat tar art Bar is a coffee bar and pub founded by New York–based artist Kris Ruhs. This lovely bar has many mousethemed decorations. When you enter the door, you will be amazed by the graffiti related to mice on every corner around the bar. 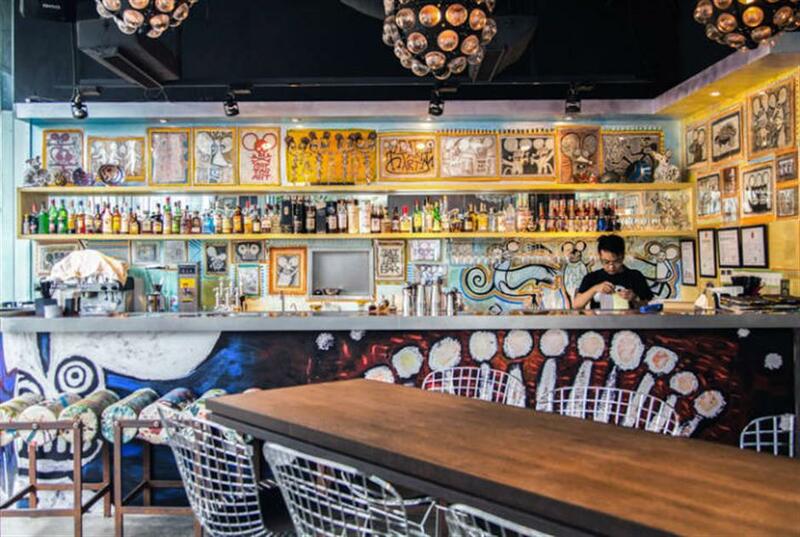 With artistic chairs and lightings, the bar looks bright, creative and unique. It seems as if you are entering into a magic world filled of classic artworks. On the balcony, there are two big mice dolls, which are suitable for selfie lovers. For those with an inquisitive nature then why not count how many mice are in the bar. The bar features Spanish cuisine. Spanish seafood paella, tapas and salads are among the must-tries. For the dessert, chocolate lava cake is recommended. Rat tar art Bar converts into a small pub in the evening. If you like liquor, go and enjoy good cocktail here at night! 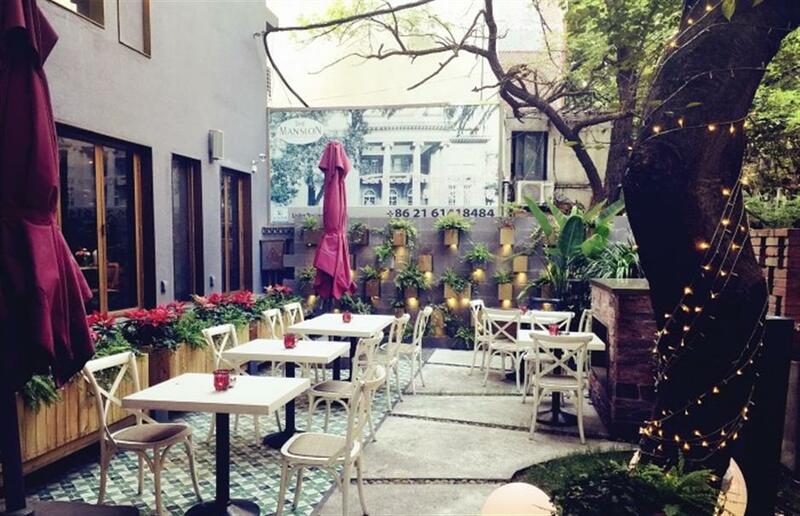 This three-story restaurant is located on Wuyuan Road. With vintage wooden chairs, creative paintings and wonderful lightings, it creates an elegant and artistic ambience. 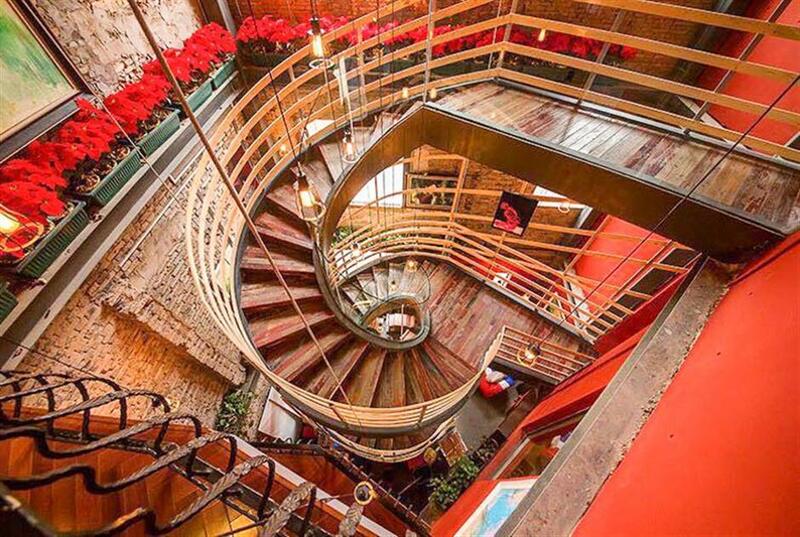 The most striking element is the fantastic spiral stair which will surely catch your eye as soon as you walk into the restaurant. this vintage wooden stairs will bring you back as if you were staying at an old European castle. As only a counter in the first floor, the main dining area is on the second and third floors where the walls are painted in red colors. apart from its exquisite decorations, abstract art murals are everywhere for customers to experience the charm of art. Food here is also impressive. Italian salad, Beef Wellington and Ribeye Steak are worth trying. 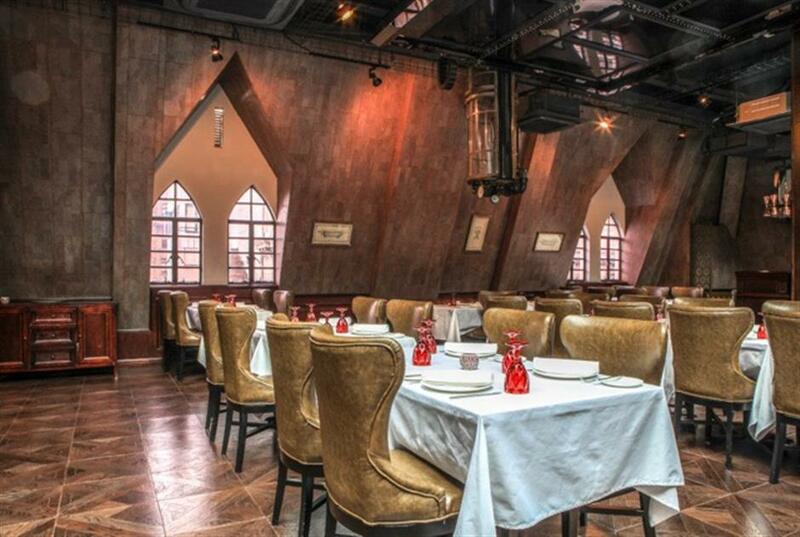 Located on the Bund, Sea Wheel is an amazing restaurant featuring delicious Portuguese food. When opening the door, you will feel that you were entering into a fantastic world. Amazing light and shadow effects are created in the ceiling with gorgeous 3d projection technology. From the magic starry sky to spacious ocean, the themes of the projection will be changed once in a while. Through the bright windows, you can enjoy the beautiful scenery of the bund day and night. From roast suckling pig, lobster salad to cream pumpkin soup, many dishes here are well worth trying. Seafood risotto is also a highlight. For dessert, cream pudding and vanilla cookie are recommended. Light & Salt is a multi-functional space with a bookstore, pub, diet bar and art gallery. 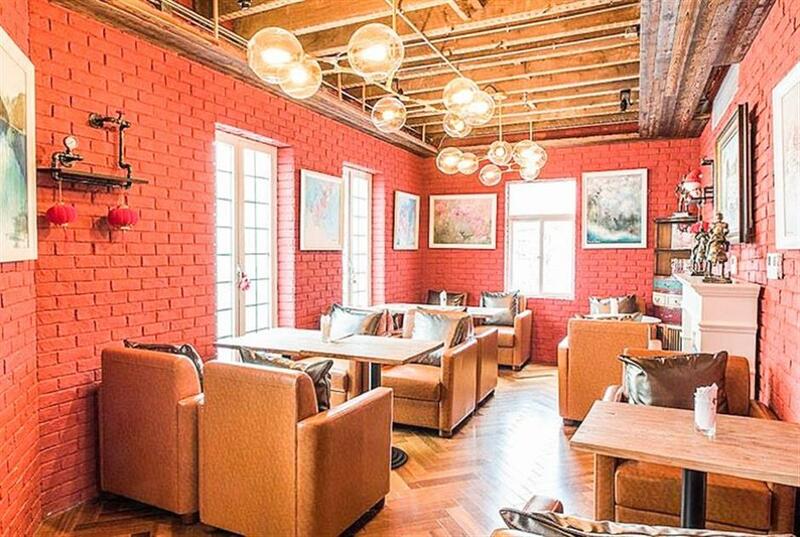 Light & Salt daily is one of the branches of the Light & Salt which located on the Shaanxi Road N.
With large French windows, wooden chairs and chic lightings, the restaurant looks bright, comfortable and artistic. Besides, the restaurant offers a nice garden where you can enjoy brunch with your friends outside of the restaurant. 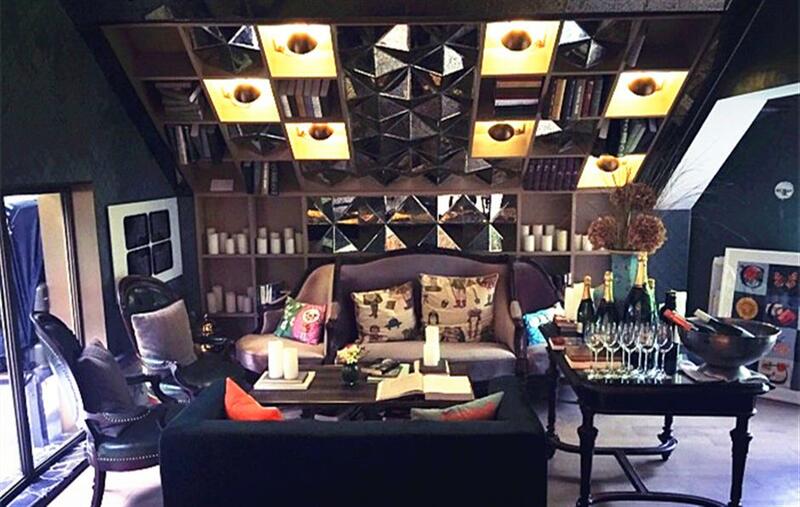 Apart from the artistic touches, there are many art books and magazines provided in the casual areas around the restaurant. all these elements add an artistic touch to the diner. the recommended dishes in Light & Salt daily are lobster soup, lobster salad, egg benedict and panfried duck breast are all popular among the customers. Looks more than an art museum, Wuchu at K11 art Mall is a Sichuan hotpot restaurant. 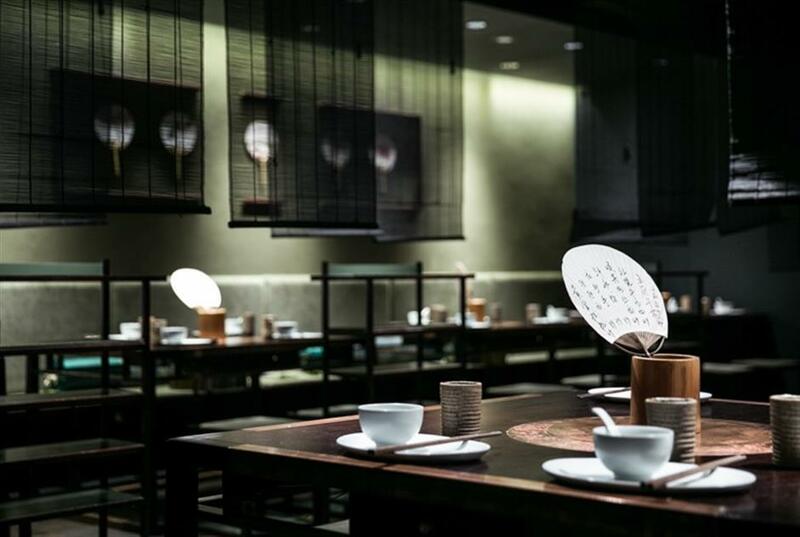 decorated with classical and poetic elements, such as traditional big square tables, chinese folding screens and bamboo curtain splints, Wuchu creates an oriental art world for its customers. The tableware is also in the old chinese style, and the menu is written in a traditional hand fan. Both makes the restaurant creative and unique. For the food, Wuchu offers authentic Sichuan hotpot — food ingredients are fresh and the sauces contain a strong local flavor.